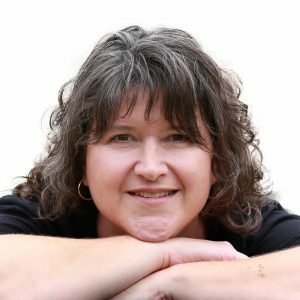 Home / Blog / Nashville, WCUS, and Gutenberg – all the excitement! Right now I am sitting in the Toronto airport, my flight to Nashville delayed. I am heading to WordCamp US (WCUS) – the biggest gathering of WordPress folks, held on an annual basis. I’m going as a volunteer, but I’m excited to take in as much as I can as an attendee, around my volunteer shifts. Plus – NASHVILLE. For those who don’t know, I’m a lover of country music. Old country, in particular. And all music. so I am staying a couple of extra days, going to tour the Country Music Hall of fame and see what other trouble I can get up to. 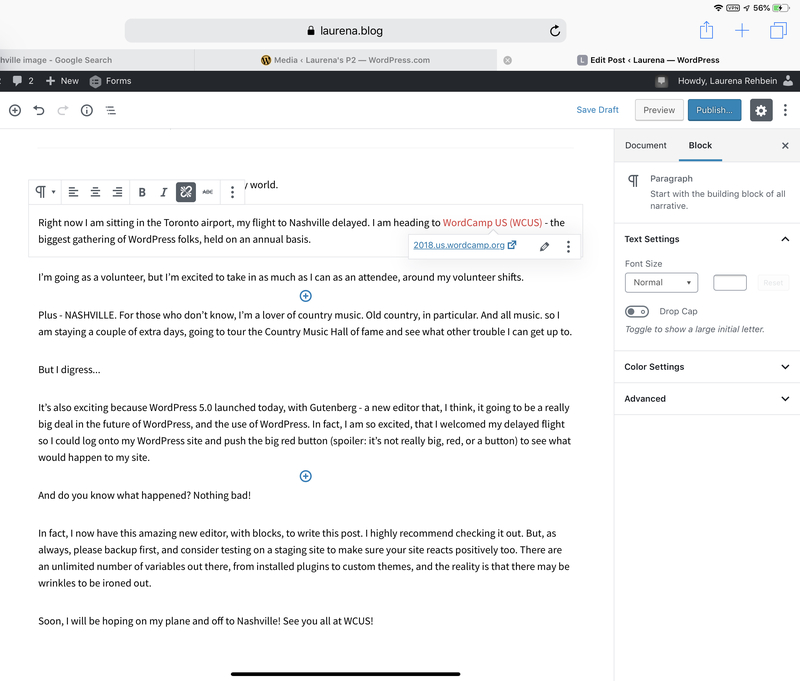 It’s also exciting because WordPress 5.0 launched today, with Gutenberg – a new editor that, I think, it going to be a really big deal in the future of WordPress, and the use of WordPress. In fact, I am so excited, that I welcomed my delayed flight so I could log onto my WordPress site and push the big red button (spoiler: it’s not really big, red, or a button) to see what would happen to my site. And do you know what happened? Nothing bad! In fact, I now have this amazing new editor, with blocks, to write this post. I highly recommend checking it out. But, as always, please backup first, and consider testing on a staging site to make sure your site reacts positively too. There are an unlimited number of variables out there, from installed plugins to custom themes, and the reality is that there may be wrinkles to be ironed out. Soon, I will be hoping on my plane and off to Nashville! See you all at WCUS!